At last a compilation of that is broad enough to give some sense of the incredible diversity of Venezuelan music. Obviously there are omissions, not least the current crop of bands such as Los Amigos Invisibles, Desorden Publico, Tres Duenos, Babylon Motorhome and all the new young bands making great music now. But with useful sleevenotes and mini-biographies of the artists, this is a good primer. Given the constraints of a 19-track CD, compiler Dan Rosenberg has done a commendable job of stitching together music from many different Venezuelan genres, most of which are unknown outside the country. The old-school salsa sound of Oscar D'Leon's first band Dimension Latina will sound familiar to anybody who's heard any of the Fania Allstar artists, such as Willie Colon or Hector Lavoe, although Venezuelan salseros were always closer to the original sounds of Cuba, adding a New York twist to the traditional son montuno with upfront trombones in the style of Eddie Palmieri. Oscar D'Leon also appears on two tracks as a soloist, unusually, with two tracks by the Dominican band leader Luis Maria "Billo" Frometa, who became a dance hall legend in Venezuela with his Billos Caracas Boys in the 1950s and 1960s. 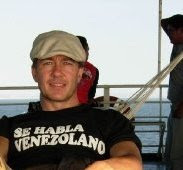 But for those who are new to Venezuela, the folk music will be the biggest revelation. The African drums of Tambor Urbano and Raices de Chuspa give a flavour of the frenetic Afro-Venezuelan music of the coast, known as tambores, with its call and response vocals and syncopated beats. Guaco and Maracaibo 15, meanwhile, give two good examples of gaitas, a musical style that originally came from state of Zulia and the city of Maracaibo but has over time become the official sound of Christmas in Venezuela. Also well served is the joropo, played on harp, a small four-stringed guitar known as a cuatro and maracas. It is known generically as musica llanera because it comes from the vast open prairies of the Orinoco flood plain, or Llanos region. Simon Diaz's oft-recorded "Caballo Viejo" ("Old Horse") is a classic of the genre, while tracks by Cheo Hurtado and Anselmo Lopez display the full range of the cuatro and the bandola, similar to the lute. 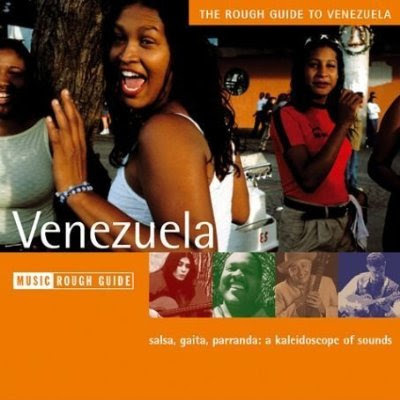 Creating a CD that covers the whole musical tradition of a country as rich in music as Venezuela is clearly an impossible task, but if you want a flavour of what's on offer, this is not a bad place to start.